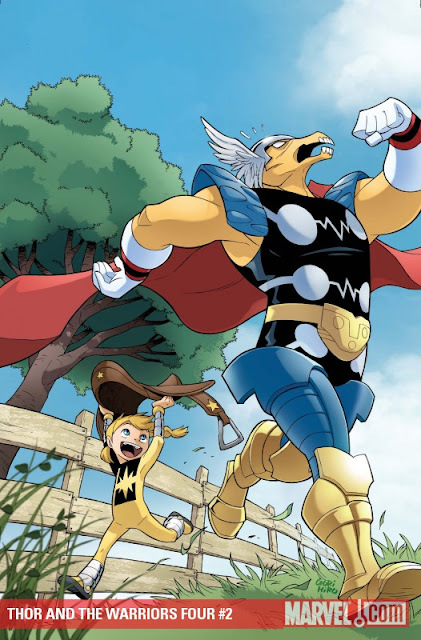 Thought Balloons - Creating Comics One Page At A Time: Why Beta Ray Bill? Are you really into Thor, but secretly wish he was also an alien? Do you dig Norse mythology, but also kind of imagine a world where it was actually horse mythology? Do you think the power of Mjolnir is fine, but feel like it would be even better if it were equine? Well then, does Walt Simonson have a comic book character for you! There are many figures who could make a case for being the poster child for how ridiculous comic book can be, but Beta Ray Bill may be one of the filliest. He's pretty much an oranger, cosmic version of Marvel's God of Thunder and shouldn't work in a lot of ways, yet is somehow incredibly engaging and alluring. What's the deal? Is there foal play afoot? I don't know if I could tell you, but I think it would behoove us to explore the question together this week!